The 2019 ‘Push The Boat Out’ open day is on the 4th May. 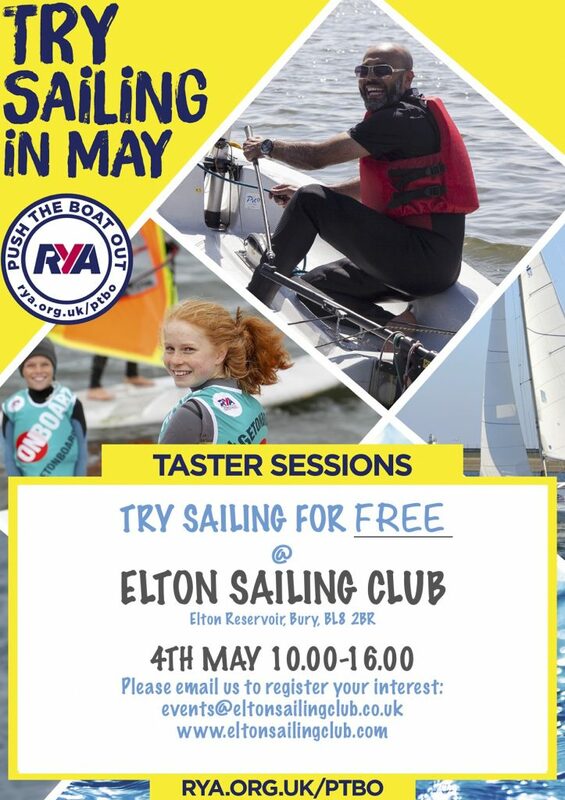 Starting at 10.00am the club will be opening it’s doors to the local community to come and try sailing. Sailing is fantastic family sport, where anyone can give it go and the club has a friendly family atmosphere where you can enjoy your leisure time. Anyone wanting to give it go can sign up via the the button below, indicating their preferred arrival time and we will have everything ready for you on the day to come down and get out on the water. You don’t need any special equipment or clothing- just a pair of trainers you don’t mind getting wet, a change of cloths and maybe a towel!! Refreshments will be available to purchase on the day. Next PostOnboard Day Help Required!